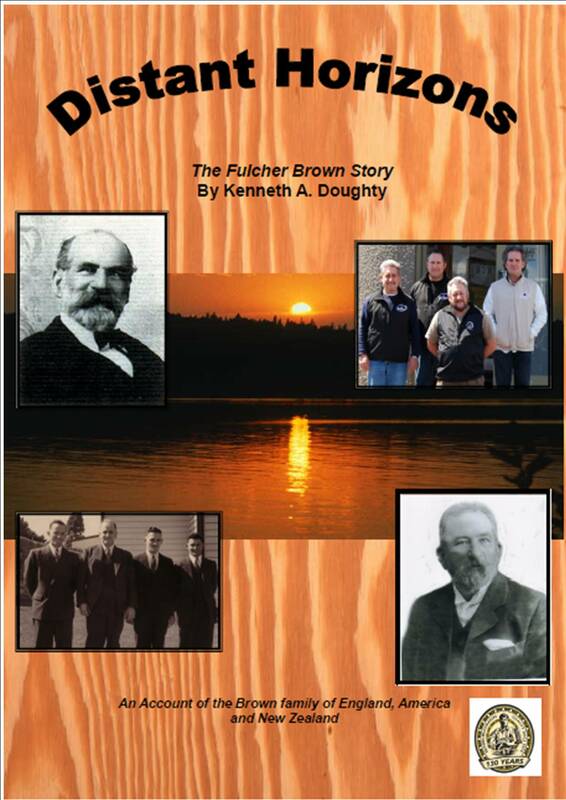 Distant Horizons is the unique story of the Brown family. In the early 19th century James Fulcher Brown had a hair dressers and perfumers shop in Whitechapel, London. By the 1850s he was the Beadle of St Mary's Whitechapel. His sons became brushmakers but their lives, and those of their descendants were destined to go in widely different directions! One son went to the USA and became a Mormon. The other stayed in England, but later both James's grandsons left for New Zealand where James Fulcher Brown III was the first person to make a western style brush, using native materials for his brush and the equipment used to make it! Although it could be presumed that a family history might only be of interest to the family involved, this book proves that jumping to that conclusion would be far from correct! Telling the story of the problems involved in researching a name that is so common it is shared by many, many thousands even today, it gives details of the work involved in locating the origins of the Brown family, the conditions that caused them to leave London and details of their voyages to the US and New Zealand. It contains many illustrations including old maps of Whitechapel and 19th century photographs of early life in New Zealand. Also a description of the techniques and work of brushmakers in the 19th century. Many connected family names are included in the text. Produced for the Brown family of New Zealand to commemorate 130 years of trading, it gives a fascinating account of how the family became one of N.Z. 's top brushmaking companies. The book will be of great interest to those researching Whitechapel, emigration, brushmaking and many other general family history subjects. It outlines the detective work involved in discovering the family's origins and disproving the inaccuracies shown on the IGI. It also discovers why the IGI is inaccurate in the records it contains about this family! Ken's book covers many subjects including cholera, the Old Bailey, Whitechapel, Workhouses, Crime, Immigration and Emigration, the Mormon Trek and much more! It is written in the author's usual, easy style, not as a stuffy text book, and is guaranteed to keep the reader entertained!